My husband still follows a strict diet up to now. 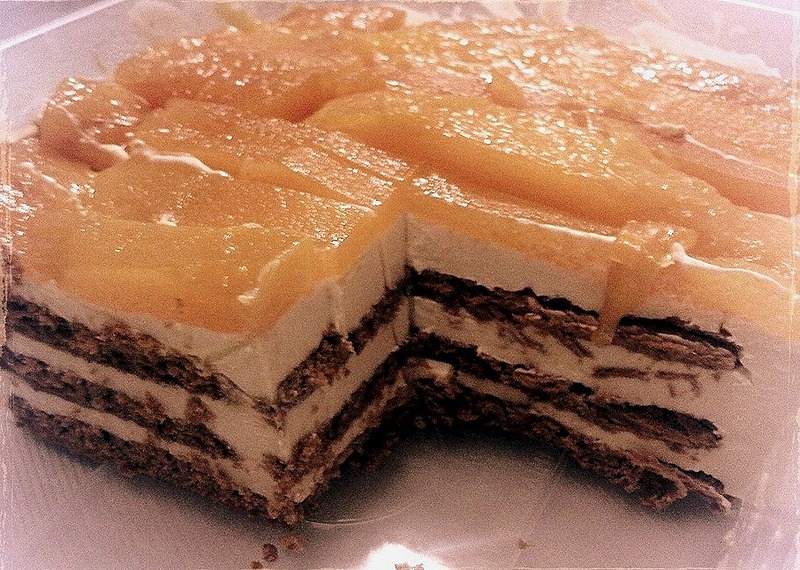 So as not to deprive him of his favorite dessert, I made this refrigerator cake using Splenda instead of the usual condensed milk last holiday season. I made sure that I was able to make several trays as my kids love it too. Check out the procedure below. 1. Before peeling the mangoes, make sure to wash it first. Click this link on how to use a water glass to scoop out the mango flesh from the skin effortlessly. Slice into 4 equal portions. 2. Combine 2 packs of chilled Nestle cream and Splenda then mix thoroughly. Make sure to remove the bubbles in the mixture. Refrigerate until cream mixture has thickened. 3. Arrange a layer of graham crackers in the container. 4. Pour half of the cream mixture over the first layer of graham crackers. Arrange another layer of graham crackers over the cream. Pour the remaining cream mixture and spread evenly. 5. Arrange mango slices on top of the mixture.